A live dance performance called Dandaree has been launched in Bagan in a bid to attract more tourist to the ancient city of Myanmar. Dandaree, which means “legendary story” in Burmese, tells the story of Myanmar – from its humble beginnings to the present day, through the glorious Bagan era, and reveals traditions, art and culture passed down from generation to generation for over a thousand years. 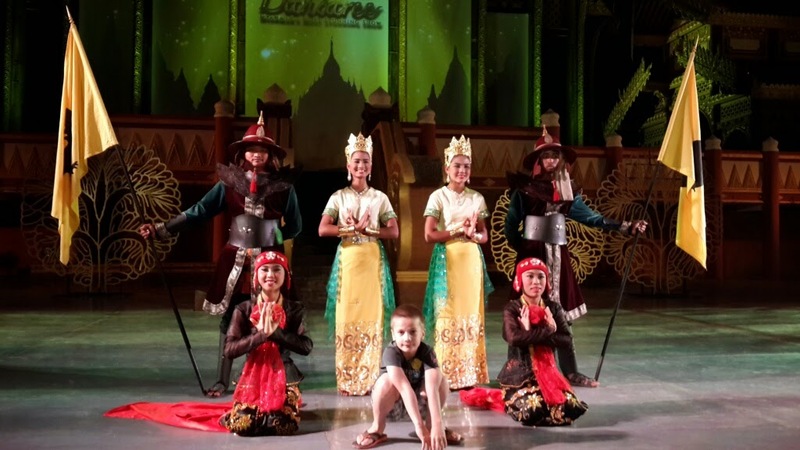 It offers a recounting of the story through the performances of more than a hundred artists at Bagan Golden Palace, which is one of the three most famous palaces and a foreign tourist attraction in Bagan. Dandaree features striking presentation styles, unmatched light and sound production, and multimedia techniques synchronised with stage performances by more than a hundred talented dancers, actors and performers who come together to tell the story of Myanmar’s proud history. Each scene reflects the unique elegance of Myanmar and its people through music, language, folk wisdom and Myanmar dance, puppeteers, martial artists, Chinlone shows, and more. The Myanmar tourism industry is enjoying steady growth, thanks to the ASEAN meetings and government policies to stimulate inbound tourism in Myanmar. Tourism in Myanmar grew significantly in 2013, with tourist numbers up by 93 percent, or around 2 million tourists, from a year earlier. The government is aiming to boost tourist numbers to 3.1 million this year. Myanmar attracts tourists not only from Asia but also from European countries including France, Germany and the UK, as well as the USA. Furthermore, the number of airlines offering direct flights to Yangon from strategic cities in Singapore, Japan, China, Indonesia and South Korea has risen markedly. Bagan Archeological City and monuments have been nominated as an UNESCO World Heritage Site. A flourishing culture arose from the city of Bagan, from which religion, language and art – including valuable antique architecture in the “Pagoda Sea” of some 4,000 pagodas, around 2,000 of which survive – also originated. Bagan thus offers great potential for tourism and has become a must-see destination for tourists. Bagan Golden Palace’s status as an attraction for tourists visiting Bagan is further enhanced by the rich manner in which it reflects the grandeur of the Bagan Kingdom. The contemporary culture show takes its inspiration from the traditional culture of Myanmar that goes back more than 1,000 years at Bagan Golden Palace. Dandaree, which is organised by Index Creative Village and Bagan Myanmar Group, will be shown during the high-season for tourism in Bagan, from November to March every year. Performances for this year started on November 1 and will run until March 31 next year, with each performance seating 464 people. Ticket prices start at $50 and reservations opened this year in September. Previews of the show can be viewed on YouTube.